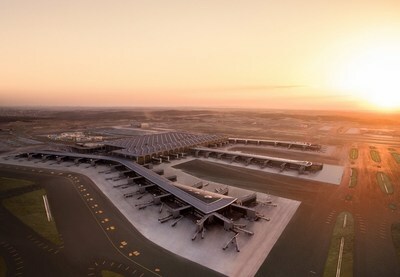 ISTANBUL, April 3, 2019 /PRNewswire/ -- Istanbul Airport has been officially opened on 29th October 2018 and the mobilisation of the airport will be completed in the first week of April. Istanbul Airport will be one of the strongest airports in the world with an annual 200 million passenger capacity. "Last year, in Turkey, 40,004 properties were sold to foreigners. In the first two months of 2019, sales increased by 87% compared to the same period of the previous year. This year, sales will accelerate even more with İstanbul Airport. İstanbul is a top destination for foreigners to buy Property in Turkey. Last year, 14,270 properties were sold to foreigners in İstanbul. We predict that this number will double in the next 3-years and reach 30,000 per year. We believe that we will have a success story with our offices in İstanbul, Antalya and Trabzon."